I am so happy to announced that project that I have been working on is finally out to the world. This is the first step!!! A lot of you are wondering where to purchase this DVD and here is the information. Please go to the www.dancespotlight.com to order a copy for you/your students and school library!!! The video introduces you to the important elements of Graham technique: the contraction, release and spiral, driven by the torso and pelvis with the use to the breath and the floor. As in the typical Graham class, the exercises are divided into 3 sections: Floor Work, Standing and Across the Floor. The technique is excellent performance training - physically sound and emotionally expressive. The technique in this video was directed by Miki Orihara, a principal dancer with the Graham Company for over 27 years, and the Associate Dance Director, Susan Kikuchi, a former member of the Graham Company and Director of the Graham Ensemble and School. The running time for the exercises is about 1 hour. 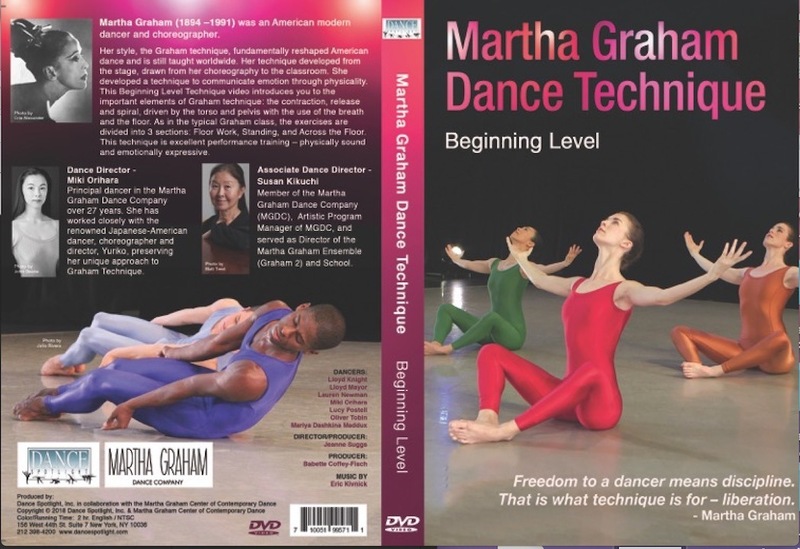 Plus there are two very enlightening sections of edited interviews of former Graham dancers giving the Essentials of the Graham Technique and their perspective on Teaching Graham. Interviews : Robert Cohan, janet Eilber, Penny Frank, Mary Hinkson, Linda Hodes, Stuart Hodes, Peggy Lyman Hayes, Virginie Mécène, Kevin Predmore, Ethel Winter and Yuriko. Order a copy for your students and school library!